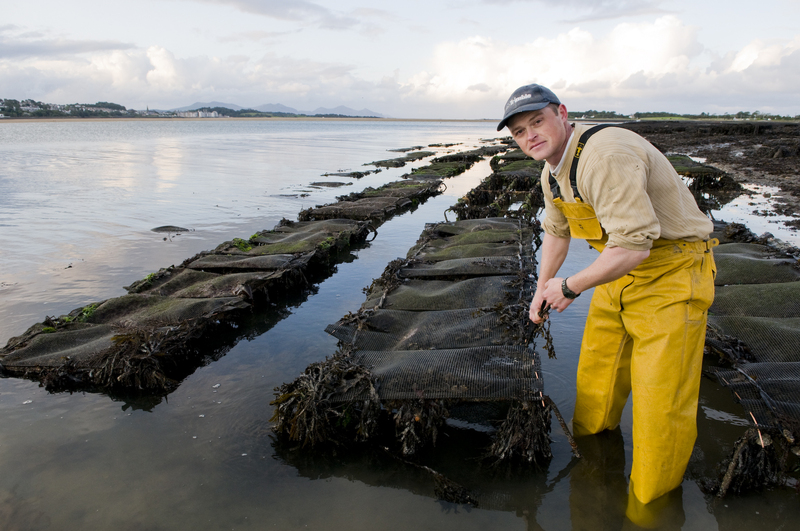 Menai Oysters is situated on the Anglesey side of the Menai Strait in North Wales. 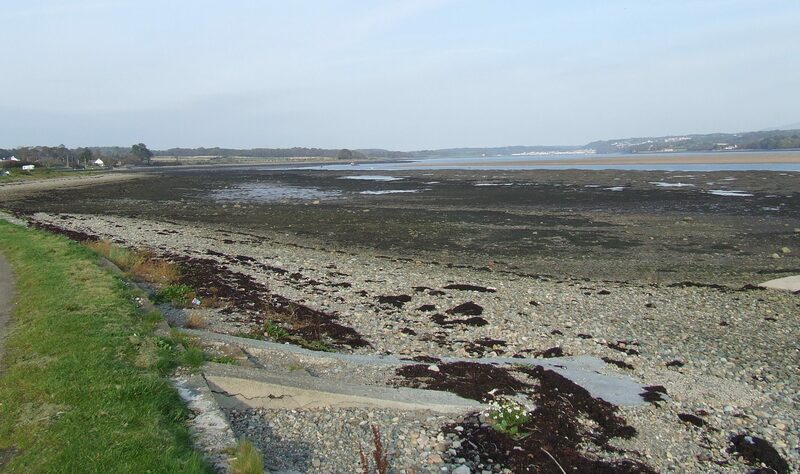 The Menai Strait is currently designated a Special Area of Conservation. Strong tidal currents ebb and flow around sandbanks and bring in a steady supply of food to give the shellfish grown here their unique taste. The farm is overlooked by Y Felinhelli to the left, historic Caernarfon and castle to the right and the majestic Snowdownia National Park for the background. Few places offer such a work environment. Oysters and mussels are in stock! Mussels are cultivated on the intertidal seabed. This method of cultivation offers different benefits to the mussels over other culture methods. Firstly, the exposure to air at low water allows the mussels to build a strong shell and adductor muscle. 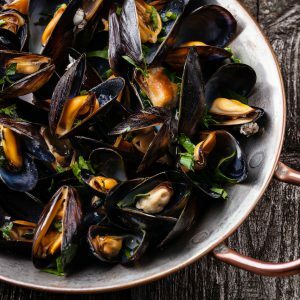 This effectively gives a robust mussel that is able to tolerate longer periods out of water, which means a longer shelf life and low shell breakage. Secondly, mussels grown on the seabed tend to have more flavour than mussels grown in other ways. 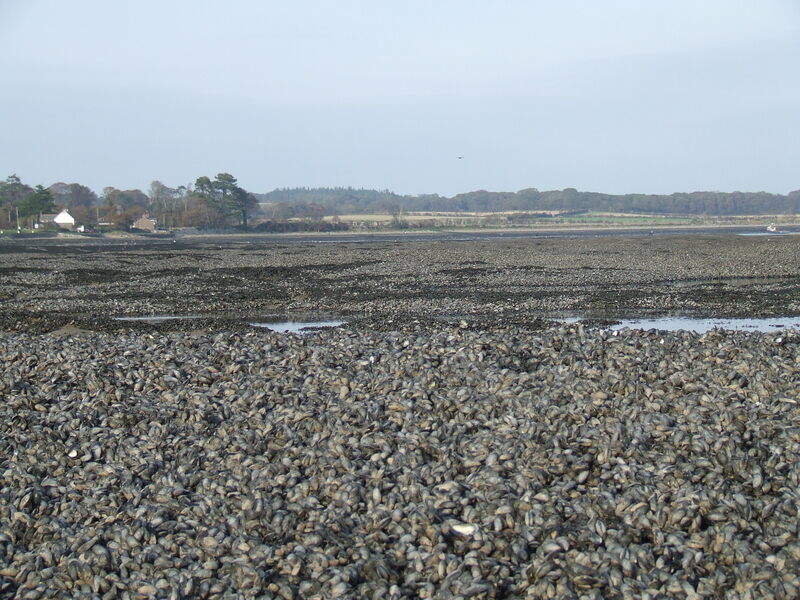 Finally intertidal mussel beds are noted as a very important habitat on the sea shore. 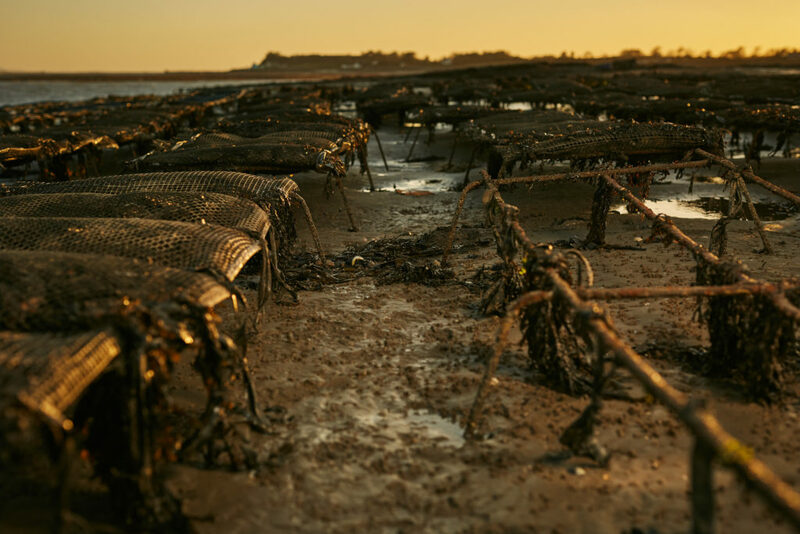 These beds not only support marine communities but also terrestrial ones to. Birds are prevalent on mussel beds and there are various species making their home at the farm. Birds such as oystercatchers, heron, egret, plover, curlew, seagull, cormorant and crow to name a few. The crows have become particulary adept at obtaining food from mussels, by carrying them to the road to drop them and break the shell. Seagulls have tried to copy this but fail to carry them beyond the soft mud before dropping them leaving the mussel intact. Small mussels (seed) are collected from the wild using a boat. Wild seed beds tend to be ephemeral and are lost to storms or are predated heavily by starfish ( which can number millions see Environment ). By relaying this wild seed into more sheltered growing areas not only does the farmer benefit, but also some of the other animals previously mentioned by allowing them access to a resource that was previously unavailable to them. The typical loss of mussels to these predators is in excess of 90% but a farmer can get a return of between 1-7 times the original seed harvest. 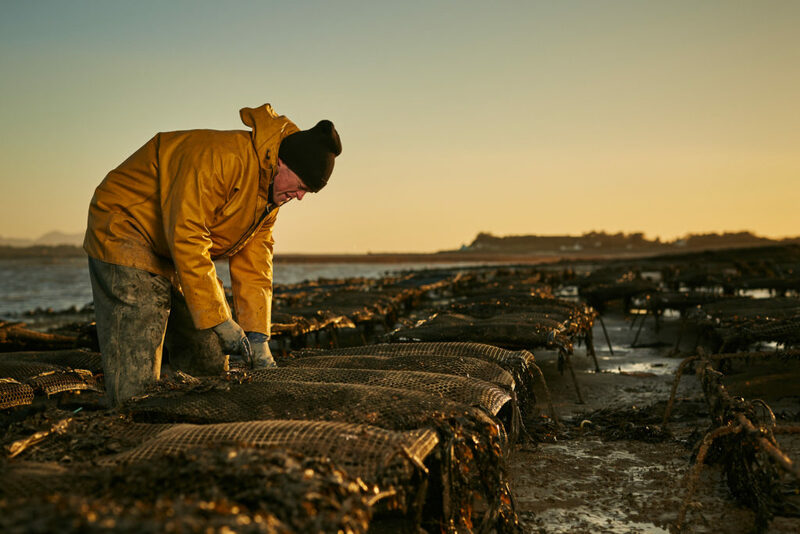 Oysters are cultivated using the bag and trestle system. This system involves the rearing of oysters in polypropelene bags secured to metal racks. Again grown intertidally. 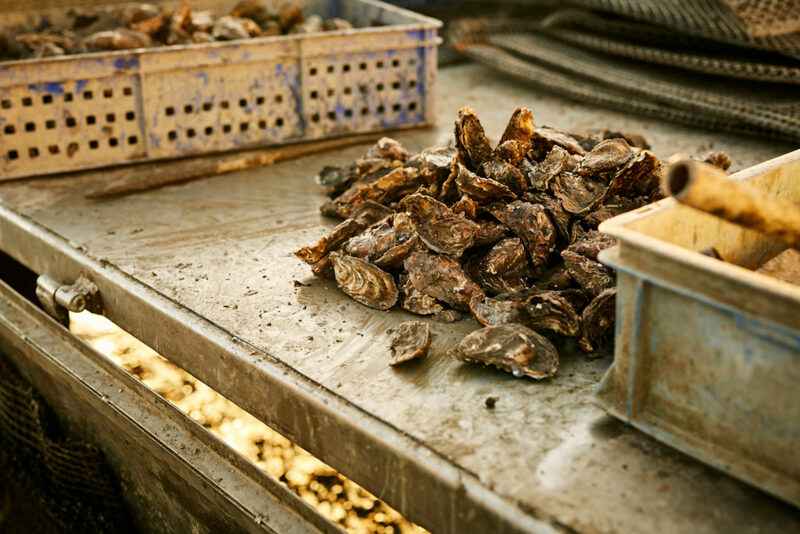 Oysters are purchased as juveniles (seed) from hatcheries. Various sizes of seed oyster can be purchased. Once purchased the seed is placed into the bags and the oysters are left to grow for a period of time, normally 2-3 months. After this time the bags are collected and the oysters are thinned down, (just like you would for seedling plants in a pot) in order to make room as they grow. 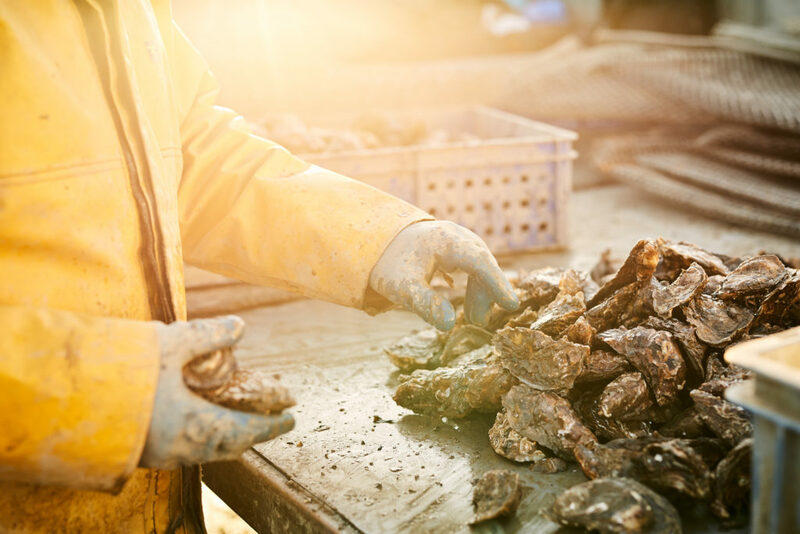 This process may be repeated 6-8 times depending on the size they were bought before the oyster reaches a marketable size. Thus 1 bag of seed oysters can become 25 bags at market size. 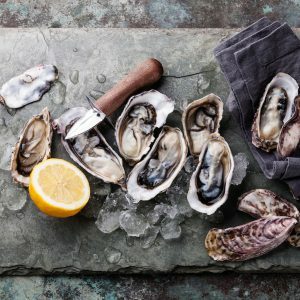 Typically a 0.2g oyster takes an average of 2-3 years to reach 100g.